Protea Biosciences Group, Inc. (www.proteabio.com) announced it has begun a collaborative research initiative with the Memorial Sloan-Kettering Cancer Center (MSK) and the Dana-Farber Cancer Institute (Dana-Farber) that uses Protea’s next generation LAESI direct molecular imaging technology to analyze cancer cells. The initial focus is early stage lung adenocarcinoma. The studies will utilize LAESI technology to generate molecular data profiles of cancer cells in tissue and biofluids to improve the understanding of a cancer’s origin. Protea’s proprietary LAESI technology generates very large molecular data profiles of cancer cells in their native state, without the need for time-consuming sample preparation. “We are pleased to have this opportunity to apply our LAESI technology to provide improved molecular profiling of cancer cells and tissue samples,” commented Steve Turner, Protea’s CEO. He added, “In the future we anticipate applying our direct molecular profiling technology to other tissue sample types, including 3 dimensional cell cultures and synthetic biology tissues, to provide comprehensive molecular profiling of tumors rapidly and directly. 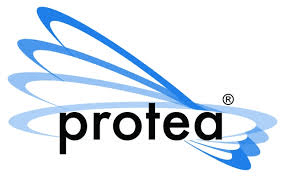 Protea is a commercial stage molecular information company, focused on meeting the needs of the pharmaceutical, biotechnology, agriculture, chemical and other industries with innovative technologies, software and services. Protea’s proprietary technology, LAESI® (Laser Ablation Electrospray Ionization), is used with mass spectrometry to detect the presence of up to, and over, one thousand distinct molecules from a single analysis of samples that can include tissues, cells, fluids, agricultural specimens and other sample types. Using proprietary software (ProteaPlotTM), the location of each distinct molecule in a respective sample can be displayed, enabling direct molecular imaging. The LAESI DP-1000, an integrated system that combines LAESI and ProteaPlot, is marketed to a wide array of researchers for numerous applications. Protea maintains its own laboratory facility where it performs services using LAESI and complementary technologies for a wide array of customers to support preclinical pharmaceutical R&D, biomarker discovery and other applications. Protea also collaborates with researchers to apply its technologies and expertise to generate new discoveries and intellectual property.